IHG has announced two new European properties for its Hotel Indigo brand. The 56-room Hotel Indigo Krakow Florian Gate will be housed within a 100-year old former residential building close to the city’s main rail station. Meanwhile the brand has also announced a new UK property for Straford-upon-Avon, scheduled to open in 2018. 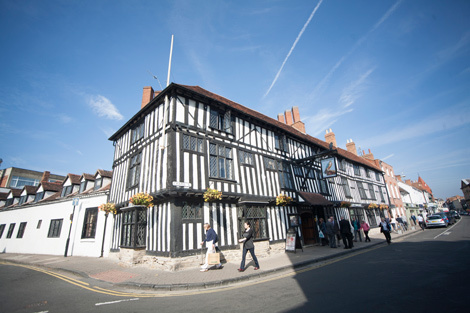 The 92-room hotel will be located on Chapel Street in the town centre, within a historic building currently operating as the Falcon Hotel (see picture above). Facilities will include a restaurant, bar, lounge, gym and meeting room. IHG recently announced plans for a new-build Hotel Indigo in London’s Aldgate (see news November 17, 2015), and as well as the development of the brand’s third Berlin property (see news September 18,2015).